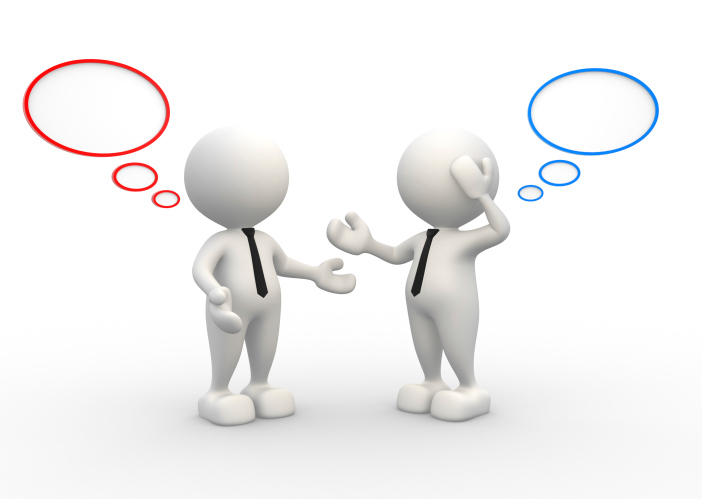 Do you think communication is critical to your success? What about with your personal relationships, your family, your friends, your peers? OK, so that question was rhetorical. But what about with your providers of goods or services? We work with many different sized organizations and the one thing I can say without question is that those who take an active role in working alongside their partners are much happier and have far better results than those who don’t. Think about it…if your router goes down, do you work with your provider to get it up and operational, or not let them know you are having an issue and just go out and buy a new one? I know that sounds a little crazy, but the same holds true when you are working with any service provider – especially employee assessment providers. You have to let them know when something is not working as expected in order to address the problem. Are you screening out/or passing too many people? System utility is important and can fluctuate in different regions, depending on candidate pools. It is always a good idea to keep an eye on pass rates and ensure you are getting optimal use of your selection system. Application questions. Are they effective? Are the questions job-relevant, and required upon entry? You may find that certain questions, although a requirement, are not differentiating your candidate pools. Working with your consultant, they may know of a different way to ask the question to get better differentiation, or there may be a need to adjust the criteria. Screening assessments are exactly that – they screen for lack of critical skills. They are meant to be used as a step in the hiring process – a short pre-screen to determine if the individual even meets minimum expectations for what is needed on the job. This is a great first step, and can offer a significant improvement in your hiring process, and save time and money down the road by ensuring the candidates who clearly lack important requirements are not passed through the entire process. Are you adding a new line or a new product, which may require higher level skills? It is important to discuss this with your consultant to ensure the process, if already being used for other positions, is aligned with new job requirements. It is very important to ensure the job relevancy of every tool used in the hiring process. Additional job analysis may be required to ensure everything is in alignment, and proof exists for the job relatedness of those tools. Do you have a big hiring event coming up? Communicating this information to your service provider allows your consulting team to be sure everything is ready to go, and that someone can be extra vigilant in checking email and phone messages during that time in case their expertise is needed. Do you see something in the process or as a result of the process that you think may need to be addressed or adjusted? Be sure to bring these to the attention of your service provider. They will discuss your observation, talk through pros and cons, and provide some guidance as to what you might want to do to address the concern. Are you new to the company and inherited the process, but you don’t understand it? This is a perfect time to reach out to your service provider! They know the history, the decisions made and why, and are happy to help train the appropriate people to use the system. The provider would need verification that you are indeed someone the organization has entrusted to manage the process, but are more than happy to help. Most importantly, communication is two-way. Staying in touch and scheduling regular touch-base meetings will help your provider help you. Your providers want you to have a highly-effective, functional system that is legally defensible if used as designed. Service providers want to help educate you in how these systems work together and are happy to come alongside and educate others in your company. Don’t wait for a problem to come up and hope it will resolve itself, or allow a concern to go unaddressed. Contact your provider – we are all here to help you and your companies achieve success. Keep this in mind the next time you have an issue arise with any of your service providers – communication is key. It’s generally difficult to fix a problem without knowing that one exists! Keep everyone in the loop and your relationship with your service provider will be stronger, which leads to better service for you!